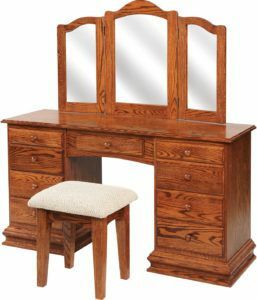 Here’s a lineup of vanities and dressing tables that’s far superior to most pieces you’ll find in traditional furniture stores. 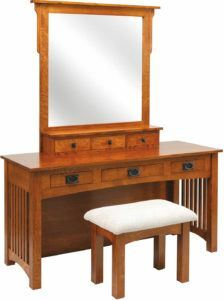 Because the vanities and dressing tables below are Amish-crafted, and custom-made from solid hardwood. 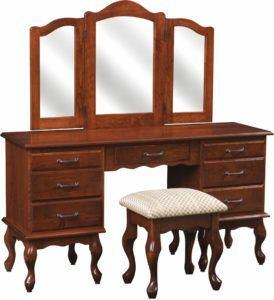 So they’re incredibly beautiful and functional. 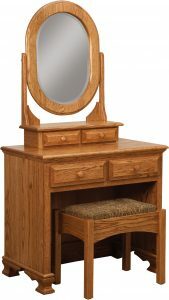 Yet durable and built for long life. 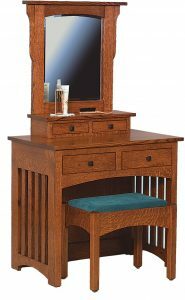 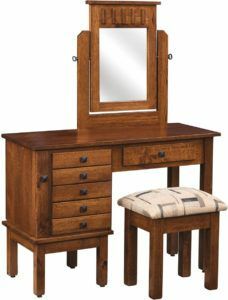 The Country Mission Vanity boasts a classic design and peerless construction. 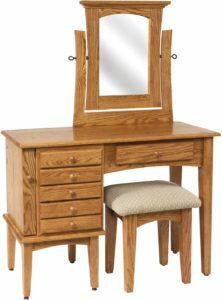 Who says you can’t have beauty, comfort and strength in the same package? 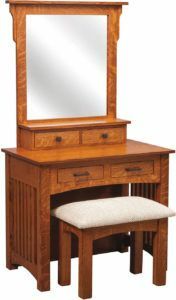 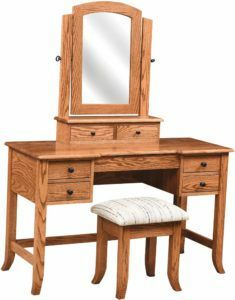 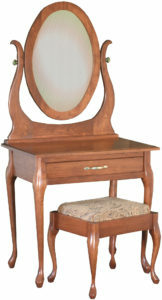 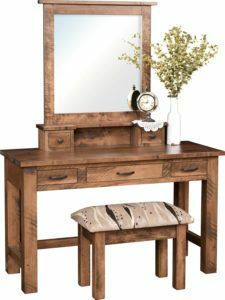 Every vanity and dressing table from Brandenberry Amish Furniture is handcrafted by skilled Amish craftsmen. 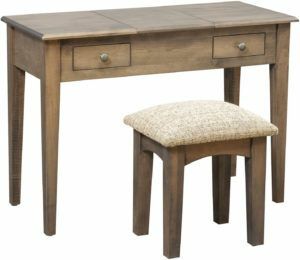 Down to the padded bench. 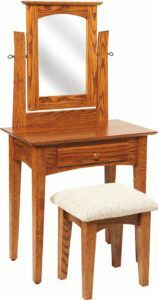 And the Amish men use solid hardwoods like maple, oak and cherry. 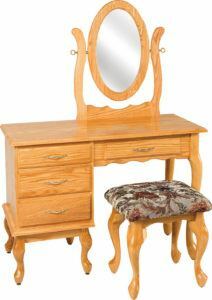 Also, they utilize a hand-finishing process. 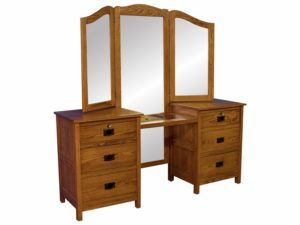 One which involves careful sanding, dyeing and finishing. 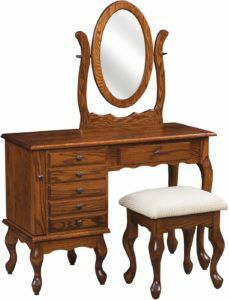 So the beauty of the wood shines through in every piece. 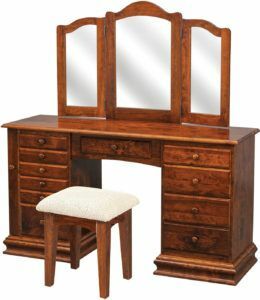 The collection of vanities and dressing tables runs the gamut from Classic to Country. 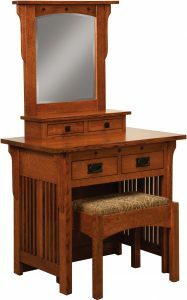 Plus from Mission to Shaker and Heritage to Queen Anne. 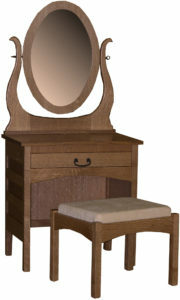 Also, you can choose from a variety of mirror configurations. 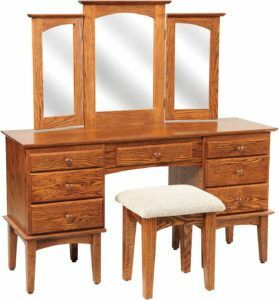 Like fixed, swivel and tri-view. 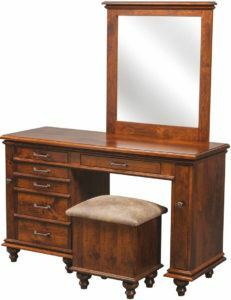 So you should have no problem finding the perfect vanity and dressing table for your bedroom. 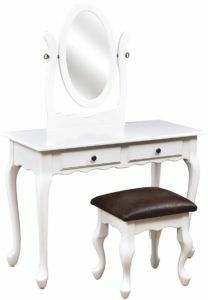 Because our vanities and dressing tables are beautiful to keep you ready and ready to keep you beautiful for years to come.